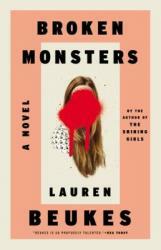 Broken Monsters is a thriller set in Detroit in which a detective investigates a serial killer who murders people with a nail gun and then attempts to meld their bodies with those of animals -- or at least, that's how it starts out. 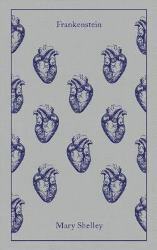 The chapters rotate between the perspectives of Gabriella Versado, the detective investigating the case; Layla, her teenage daughter (currently embroiled in a plot to lure out and expose pedophiles); Jonno, a journalist who quit his job and moved to Detroit to reinvent himself by reporting on their art scene; TK, a homeless man working to protect his friends and community; and our serial killer, who finds himself infected by a dream that seems to have the power to rewrite reality itself. While it initially seems like a pretty standard thriller, the murders quickly veer off into the realm of the supernatural. The book is a bit uneven as a result, ending up as a mix of magical undertones plus serial killer crime investigation plus family drama that never quite came together for me. The writing wasn't amazing by any means, but it got the job done, and the plot managed to keep me turning pages. Despite having heard some rave reviews from others, I wasn't wowed by it, but if you're a fan of horror/thrillers this is definitely unique. 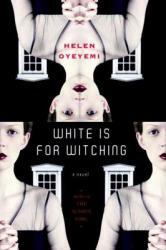 White Is for Witching is a difficult book to describe. 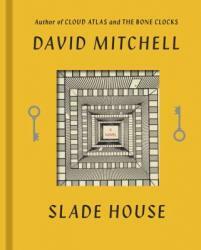 I suppose you could say that it's the story of a young woman, Miranda Silver, who suffers from pica, a condition which compels sufferers to crave and eat inedible foods: chalk, plastic, metal, rubber. The story follows her life -- loosely -- from her mother's death when she was a little girl up until her mysterious disappearance in her late teens/early 20s. The story is told from the perspectives of Miranda, her twin brother, her college girlfriend, and the (possibly evil) house/bed & breakfast she lives in, along with a few brief POV sections from side characters. They're nominally piecing together the events that led up to Miranda's disappearance, but that thread often gets lost in the meandering chapters. Fair warning: the plot is difficult to follow and it wasn't until I reread the opening that the story started to click into place. There's a strange, dream-like atmosphere, none of the narrators are anything close to reliable, and it wasn't always clear to me (read: it was almost never clear to me) what was going on. To give a sample of just a few of the plot threads: There are a string of assaults/murders of refugees happening in Dover, England, where Miranda and her family live. Is she connected to them somehow? Some passages seem to suggest so, but we certainly never find out. The house she lives in seems to hate immigrants and may or may not have eaten her female ancestors to keep them from leaving, but don't expect either of these points to be brought to any sort of conclusion. The closest thing to a central thread was the obsession with the possibility that Miranda was or was controlled by a soucouyant, a sort of vampire/shape-shifter in Caribbean traditions. So race, identity, and immigration are obviously big themes, but it's less clear where Oyeyemi is going with everything. For me, the actual story-line wasn't very satisfying, but the writing style and atmosphere made it worth it. I've read almost everything Oyeyemi has written, and a lot of her stories fall apart at the end; she's great at creating interesting characters/evoking an eerie, ominous mood, but in my opinion resolving a plot is not her strong point. This might be frustrating for some readers, but if you're interested in something a little more experimental and don't mind that it's a bit rough around the edges, you might like this book. I would recommend Oyeyemi's first book, The Icarus Girl, for anyone interested in reading something a little more accessible by her. If this had been the first thing I read by her I might not have picked anything else up, but I enjoyed it for what it was. Such a great story, and only 238 pages! I bought this book in an airport since I forgot to bring anything to occupy my time on a long flight. Boy am I glad I did! I could not put the book down until I finished it! Interesting tale, set over many decades, with notable references to eras that made it easy to get lost in the story. If only there were more of the story to read! The world is burning, one person at a time. A new sort of plague, a spore known colloquially as Dragonscale, is infecting hundreds of thousands around the globe. It begins with something small. It gets into your head. It grows. You feel fine until you see it on your skin-a small stripe, like a gold-flecked stain. You might even mistake it for a bruise at first. But then you know you have it. You know that you’re going to burn, and it’s only a question of when. No one knows exactly how it spreads, and there’s no sign of a cure short of being killed before you ignite. You’ll smoke a bit first, and then you’ll combust, unless someone decides to end your life before then. In the midst of the chaos is Harper Willowes, a Portsmouth nurse who sincerely wishes for nothing more than to be able to help others through the crisis. She volunteers her services caring for the infected while her husband Jakob works for the Public Works Department, helping to clean up the devestation left behind by the burning infected. It’s at work that Harper first meets the Fireman. He brings a child in for treatment, not for the Dragonscale covering him, but for a ruptured appendix. After the boy, Nick, is taken in for surgery, the Fireman vanishes. A few days later, Nick is gone as well, leaving only questions in his wake. Then, disaster strikes and the Portsmouth Hospital burns to the ground. Harper escapes, but soon makes two discoveries. She’s pregnant and she has the ‘scale. Believing himself to be infected as well, Jakob snaps and Harper is forced to flee for her life and that of her unborn child. When all seems lost, the Fireman intervenes. He rescues Harper from Jakob’s pursuit and secrets her away to a small camp where over a hundred and fifty infected are living in hiding, including Nick. Living and thriving, to Harper’s great surprise. While there’s no cure for the spore, the people of the camp have found a way to live in harmony with the Dragonscale, under the leadership of Nick’s grandfather. Harper’s medical skills quickly make her indispensable. The camp, however, is no paradise. As panic grips the nation, marauders seek to eliminate any infected. Harper only wants to survive long enough to deliver her baby, but internal power struggles in the camp threaten to expose them all to the roving Cremation Crews. The Fireman may be the only one who can save them all, but he hides a dark secret of his own. Joe Hill takes on an apocalypse of his own, one that rivals The Stand in scope and violence (not to mention pop culture references). As the world around them burns, his characters must face the fact that other humans may be a greater threat to them than the Dragonscale ever was. 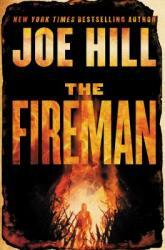 The Fireman is a hell of a ride from beginning to end, and is every bit as intense as the flames it evokes. Go check it out. This book definitely isn't like the movies, but it is still really interesting to read. The main character, Victor Frankenstein, goes through a lot of crazy times. He creates a so called monster by many and everything that comes after keeps you wanting to read more. There is a lot of melancholy feelings and struggles that many go throughout the book. It uses a lot of diction and has foreshadowing throughout giving you hints here and there of what might come. I highly recommend this book because it's a very cool story. Frankenstein begins with Robert Walton, an explorer, writing letters to his sister about his journey to the North Pole. Along the way, he rescues a man named Victor Frankenstein from an ice drift. The story follows Frankenstein down memory lane as he tells Walton about his pursuit for knowledge and the deadly consequences that followed. I really enjoyed this book. I've always been meaning to read it, so I'm glad that I finally did. I loved how it was written; the characters were highly intelligent, and the word choice did an excellent job of showing it. The only thing that I wasn't so huge on was the end. It felt a bit too abrupt to me. Regardless, I found this to be an excellent book.